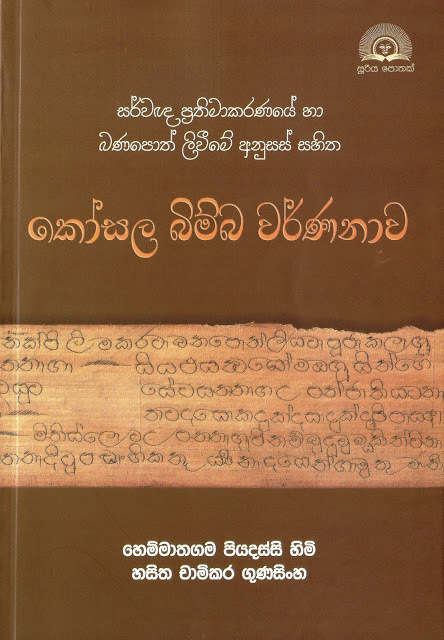 “The Laudatory Account of the Kosalan Image” (KBV) is a Pali text in both prose and verse from mediaeval Ceylon. It is an aetiological myth, providing justification for the practice of making Buddha images. 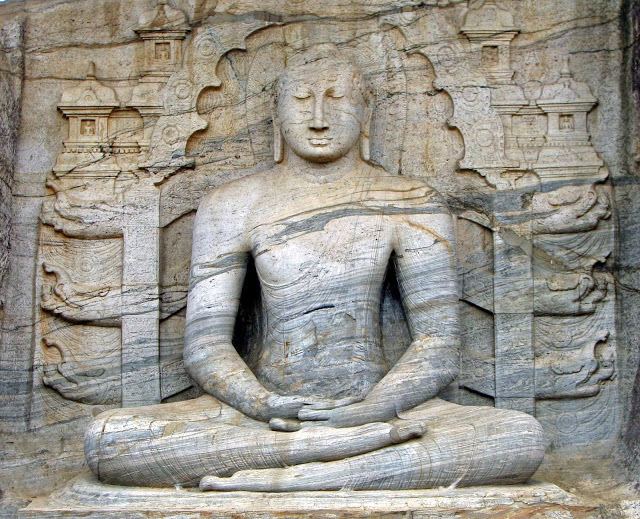 Pasenadi, King of Kosala, a canonical figure, calls on the Buddha one day only to find that he is out. When he repeats the call the next day he mentions his disappointment, and asks if the Buddha would allow an image of himself to be set up at his monastery to provide against such contingencies: visitors not finding the Buddha could then worship him in effigy. The Buddha not only agrees, but declares that the merit to be acquired by making a Buddha image of any size or material is incalculably great. The king has an image made of sandal-wood and set in a gorgeous shrine, and invites the Buddha and his monks. When the Buddha arrives, the image begins to rise and greet him; the Buddha stops it and predicts a long life for it. The earth quakes and other miracles of that order mark the moment. After a seven-day donation of food to the monks, King Pasenadi requests the Buddha to tell him what merit he has acquired, and Ananda, the Buddha’s favourite disciple, asks also to be told what merit lies in copying a Buddhist text. The Buddha responds to Ananda’s question with a series of verses: copyists and image-makers will not be reborn in unpleasant states, but will be reborn, free from congenital de¬fects, in good families, and lead prosperous lives. Ultimately they will attain nirvana. Five thousand of the listeners attain nirvana on the spot. The Buddha and his company are escorted back to the Jetavana mona¬stery. The next day the king has the image in its jewelled shrine installed there. I know of no other reference to this story outside Ceylon, but it would be surprising if none existed. Perhaps further research will produce other versions, and throw light on our text.